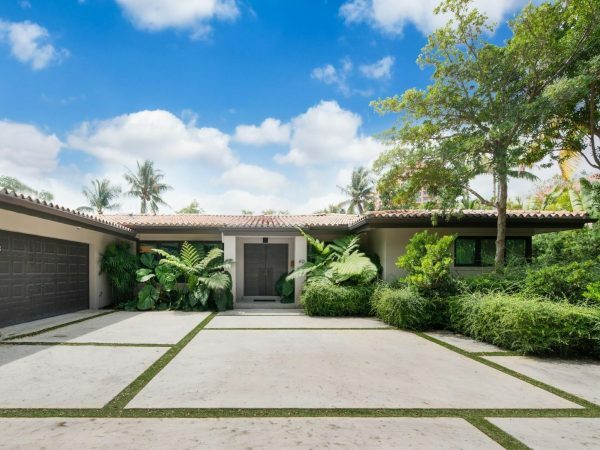 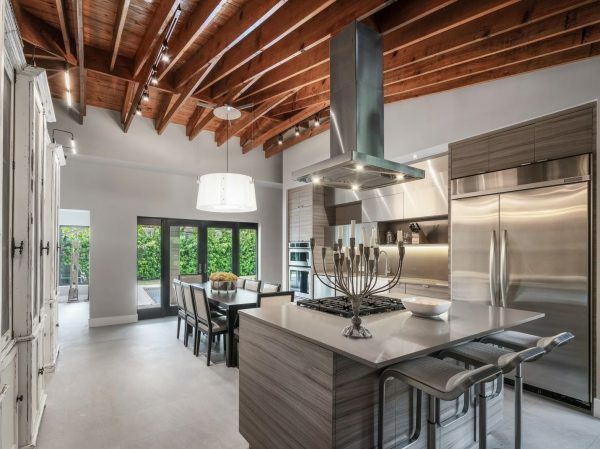 In the amazing location of South Gables/Coconut Grove is this designer home. 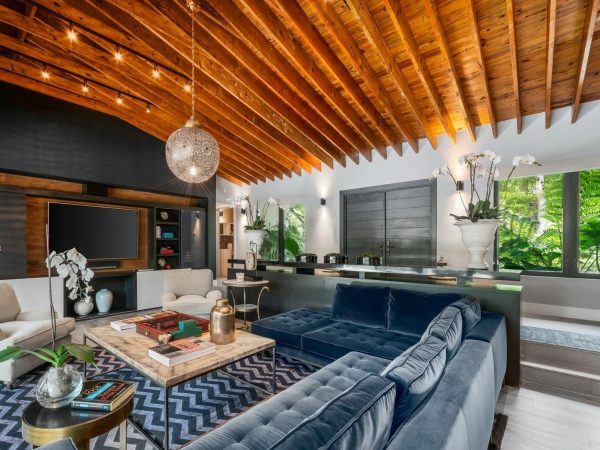 Beautiful wood beam ceilings and open floor plan. 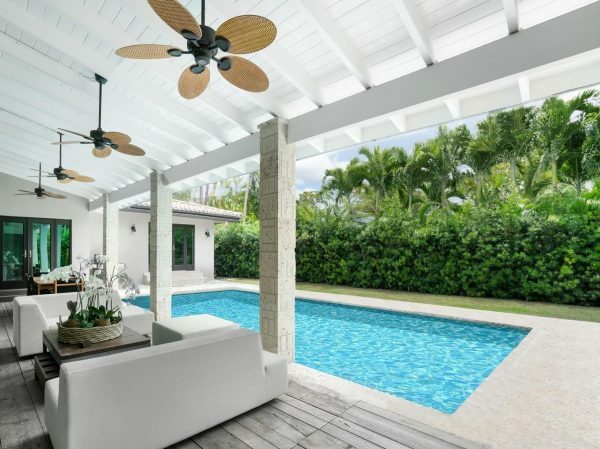 Top of the line finishes, luxurious bathroom, and a huge covered terrace and pool.